Below are some random samples we have created with Documatica. Please note that these documents reflect a certain set of answers, and it is very likely that the document you require is different. 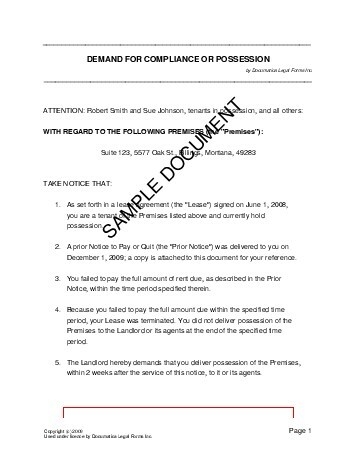 Do not rely on the templates below - create your own customized Demand For Compliance or Possession with our webpage. 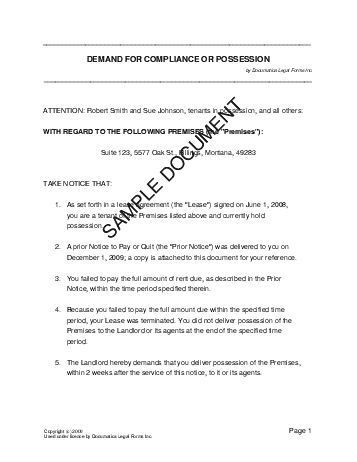 For maximum legal protection, obtain a lawyer reviewed Demand For Compliance or Possession directly from us.